Sentiment analysis is the process of computationally identifying and categorizing opinions expressed in a piece of text, especially to determine whether the writer's attitude towards a particular topic, product, etc. is positive, negative, or neutral. Using sentiment analysis, we can suggest emojis to be used as replies to messages based on the context of the received message. Using Angular, you can extend the template language with your components and use a wide array of existing components, and with Pusher we can enable realtime messaging in the chat using pusher’s pub/sub pattern. We’ll be building a realtime chat application using Pusher, Angular and the sentiment library for emoji suggestions based on the context of messages received. The command is simply telling the CLI to create a new project called angular-pusher-chat and it should make use of the CSS pre-processor SCSS rather than CSS for styling. Open a terminal inside the project folder and start the application by running ng serve or npm start. If you open your browser and visit the link http://localhost:4200 you should see the screenshot below if everything went well. 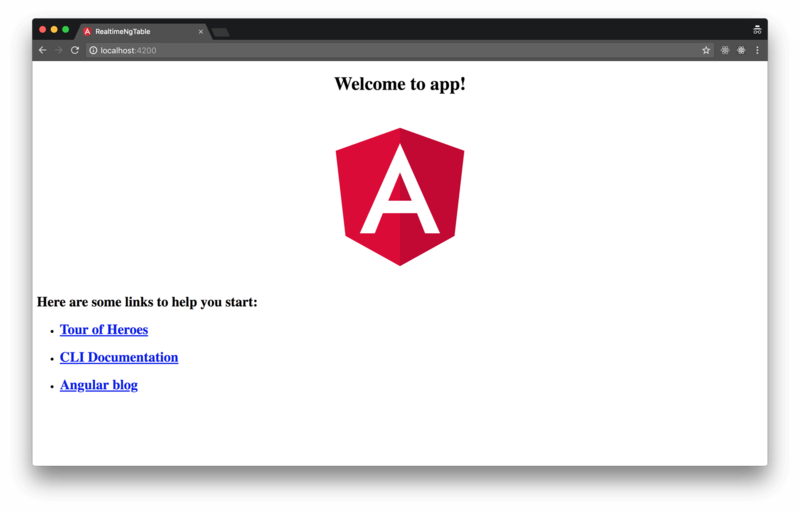 Now that we have our Angular application running, let’s build out a basic part of our server. dotenv is a zero-dependency module that loads environment variables from a .env file into process.env. This package is used so sensitive information like the appId and secret aren’t added to our codebase directly. CORS: The calls to our endpoint will be coming in from a different origin, therefore we need to make sure we include the CORS headers (Access-Control-Allow-Origin). If you are unfamiliar with the concept of CORS headers, you can find more information here. If you noticed, I added the dotenv package at the start of our file. This is because we need to load the variables as early as possible to make them available throughout the application. The data object contains the text and id sent by the user. We’ll also added a timestamp to the it. tone: the tone variable is the context of the message gotten after analysis. This will be negative if the comparative score is below 0, neutral if the score is above 0 but below 1. The tone is positive if the comparative score is 1 and above. You can now start the server by running node server.js in the terminal in the root folder of the project. We have a form containing an input element and a submit button. We using an icon-set called feather-icons in our project. To include feather-icons in your project, simply add the cdn link in your index.html file. sendMessage: this method uses the native HttpClient to make requests to the server. The POST method takes a URL and the request body as parameters. We then append the data returned to the array of messages. We make use of a package called uuid to give each message a unique id. Run npm install uuid in a terminal inside your project’s root folder to install this package. getClasses : this method generates classes for a message element based on the messageType In the ngOnInit lifecycle, we initialize [feather](https://feathericons.com), our chosen icon set. This first SCSS snippet styles the .chat-area. Including how messages should look. The next snippet will style the input area and the send button. To make the Pusher library available in our application, we’ll add the library as a third party script to be loaded by Angular CLI. All CLI config is stored in .angular-cli.json file. Modify the scripts property to include the link to pusher.min.js. This command simply tells the CLI to generate a service named pusher . Now open the pusher.service.ts file and update it with the code below. 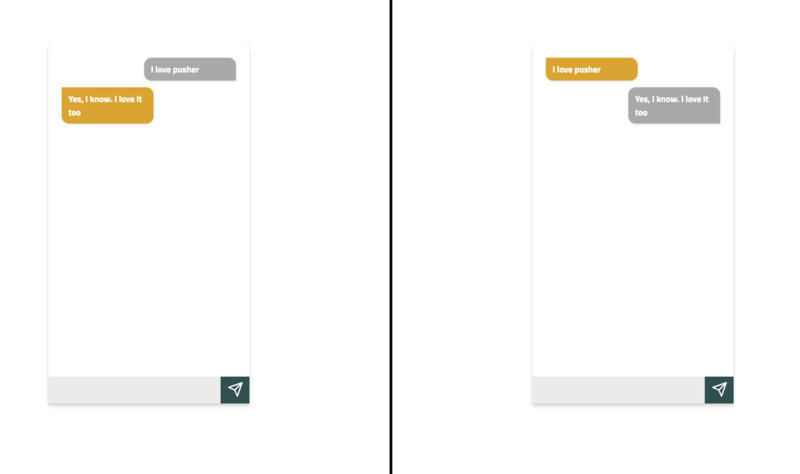 To test the realtime functionality of the application, open two browsers side-by-side and send messages. You should be able to receive a message sent from one browser on the other. Now let’s place the chat component in the app.component.html file. This will make our chat component available for viewing. Replace the contents of the file with the code below. Now we can view our application for the first time, it should currently be able to send messages back and forth in realtime. Generate an emoji component that will hold the emoji section. This component will handle the display of emojis based on the tone of each message received. We’ll generate a new component using the CLI by running the following command in the terminal. Replace the contents of the emoji-panel.component.html file with the code snippet below. emojiList: this is an object containing a list of emojis that’ll be suggested. There’s a list for each message tone. showEmojis: an input variable from the parent component(chat) to determine the visibility of the emoji panel onClick: this method takes to parameters. The reaction param is used to select the list of emojis to check for the provided index. The selected emoji is then emitted to the parent component. 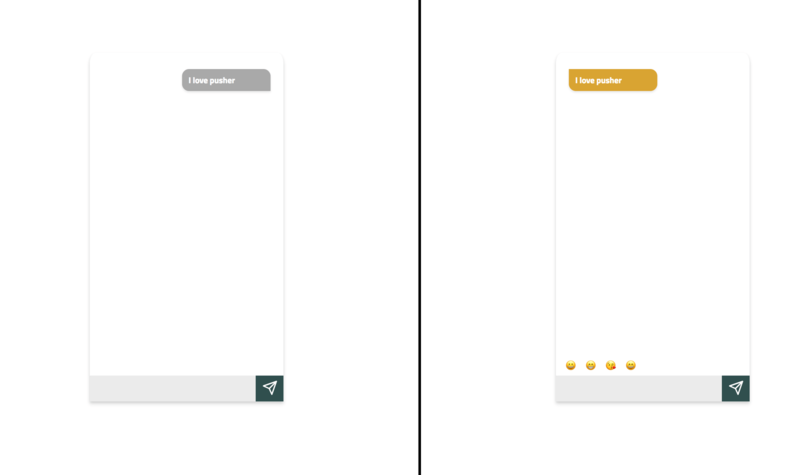 After creating the emoji-panel component, the next step is to add it to our chat component. Update the chat component with the code snippets below. selectEmoji : this method appends the selected emoji to the current message and then hides the emoji panel. In the Pusher event callback, we set the showEmojis property to true. In the same callback, we assign the datas sentiment property to the score variable. Note: Both the server(node server) and the Angular dev server(ng serve) must be running to get the application working. Run both command in two separate terminal sessions if you haven’t done so already. Using sentiment analysis library, we’ve been able to suggest emojis as replies for received messages and with the help of Pusher our application can send messages back and forth in realtime. You can view the source code for the demo here.